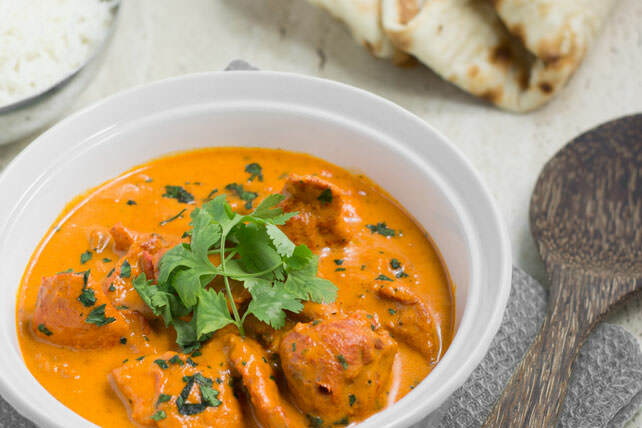 You don’t need one of those stores bought pastes to make an Authentic Indian Mango Chicken Curry at home! Mango Indian Curry cooked the authentic way is much easier than you think! Our Mango Chicken Curry is quite mild so is suitable to cook and serve for most people as the spice is well tolerated. This mango chicken curry recipe will comfortably feed a family of 4. Don’t forget the Indian Chapati Bread to make it a complete meal. This Authentic Indian Mango Curry recipe is delicious and easy to cook at home. In your blender or food processor, add the all the paste ingredients except the yogurt. Blend ingredients into a paste then add the yogurt and mix well. Marinate the chicken in half of the paste and refrigerate for 2 hours. Add the remaining curry paste and cook out until fragrant, 5-10 minutes. Add the coriander, garam masala, onion and garlic and saute for 5 minutes. Gently pour in the tomato puree and coconut cream, stir well. Bring to the boil before adding the marinated chicken and the mango. Drop the heat to a simmer. Simmer the curry uncovered for 15-20 minutes, until the sauce has thickened and the chicken is cooked through. Serve with a side of basmati rice. 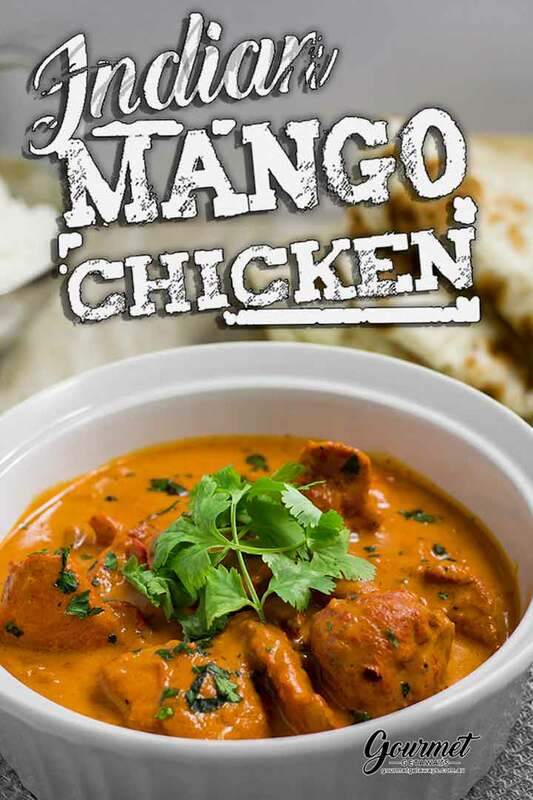 Enjoy your authentic Indian Mango Chicken Curry, I’m sure your friends will be impressed with the flavours.